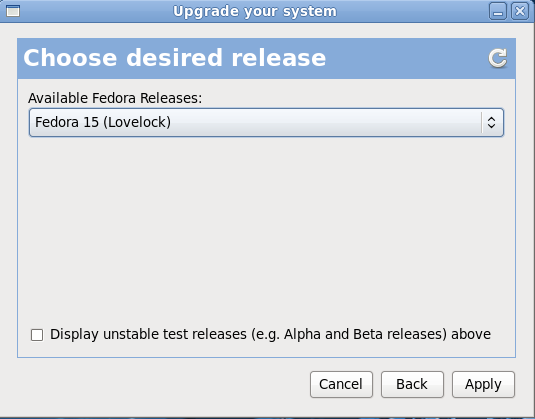 This time I upgraded my Fedora just after being released by the Fedora team. It looks like there is a little masochist in my head. But to be fair the Fedora release team did quite a good job with their upgrade mechanism. The system was installed with a Fedora 13 version, upgraded to 14 and now to 15. After the first review I was able to write a blog entry with it. This time i didn't use the command line - instead I used Preupgarde. 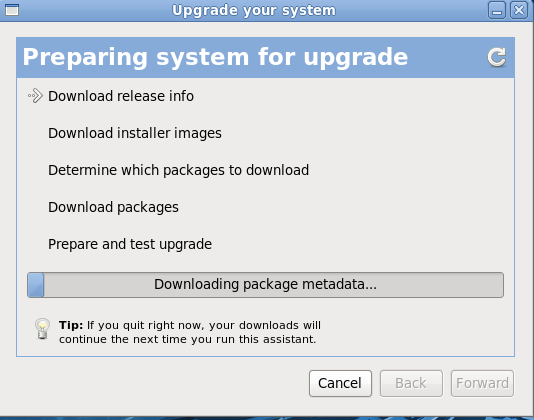 After the download and verification of the packages, the system reboots and installs the new version automatically. I hope this helps you upgrading your Fedora installation.